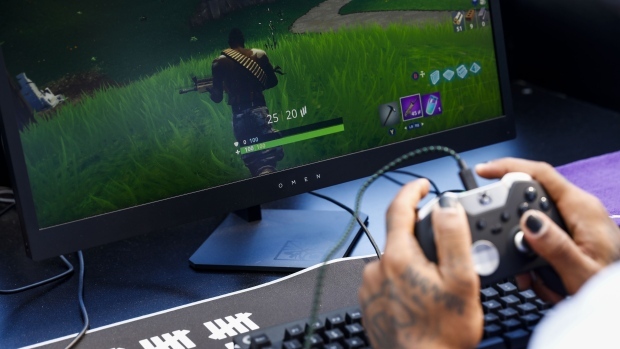 Fortnite players will soon be able to buy virtual jerseys based on their favorite National Football League teams in a limited-time partnership with the video game’s maker. Starting on Nov. 9, fans can buy digital NFL team outfits with the number of their choice in Fortnite’s online store. The jerseys, which characters can wear as they square off with competitors, will cost about US$15 worth of in-game currency. They also can be obtained through purchase of a season pass to the game. The deal represents the first time that Fortnite’s creator, closely held Epic Games Inc., has struck a deal to put outside content in the game. The every-man-for-himself shooting title has been a runaway hit, garnering more than 125 million players worldwide -- a fan base that includes many pro athletes. In addition to the jerseys, other merchandise -- including football-themed dances -- will also be available. Because Fortnite is free to play, Epic has had to look for decorative items to sell. Other game makers, including Activision Blizzard Inc. and Zynga Inc., have been selling advertising spots in their free titles. Last month, Epic raised US$1.25 billion from an investor group that included KKR & Co., Vulcan Capital and Kleiner Perkins. Samsung delayed the Galaxy Fold, but is it a failure?